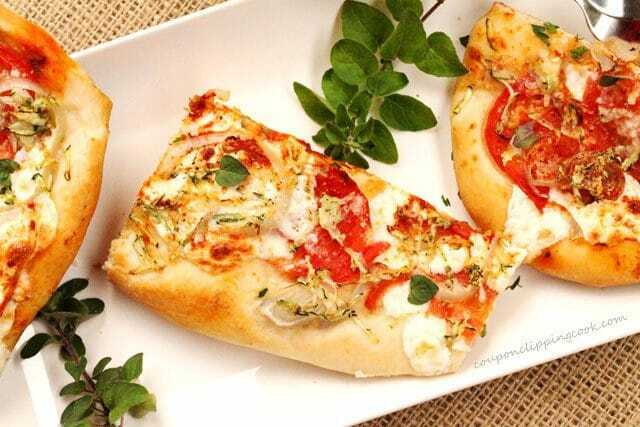 Whether it’s a dinner for two, a special lunch, or a unique breakfast, these delectable pizzas with an easy to make homemade crust have you covered! 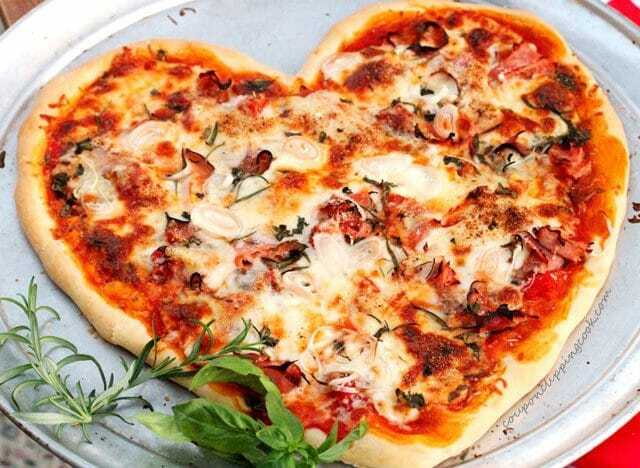 This is like a double gift for your Valentine because it’s pizza AND it’s shaped like a heart. Homemade pizza made with homemade dough is sooo good. 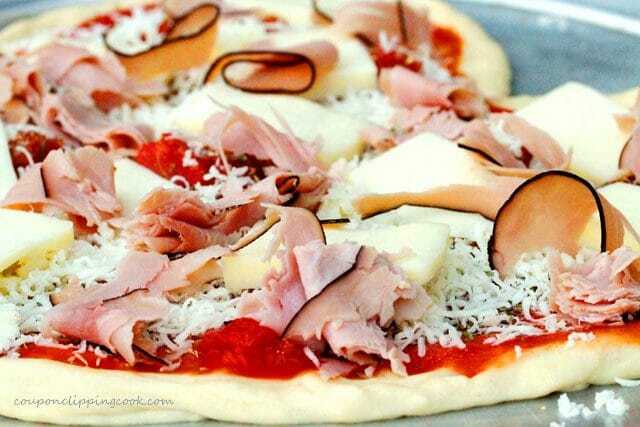 And the great part about homemade pizza is that the toppings can be whatever you want them to be. 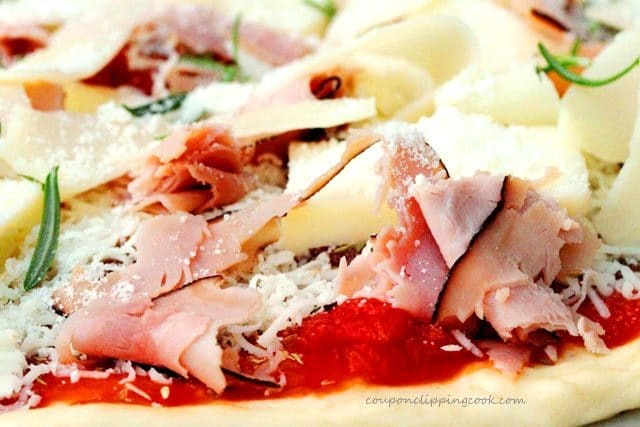 Loading up on your favorite toppings is not only allowed but recommended! 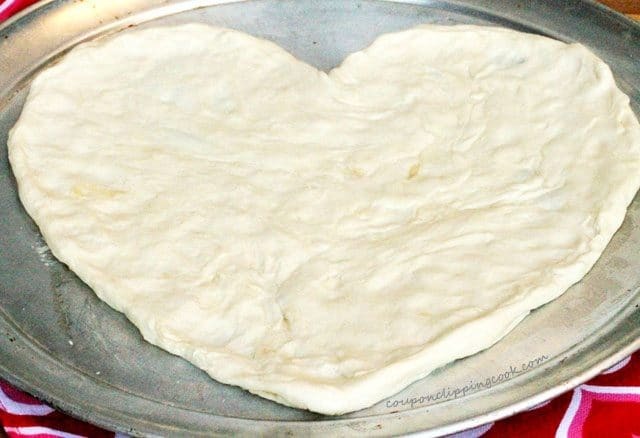 With this homemade pizza dough you can make large heart, medium heart, or small heart pizzas. 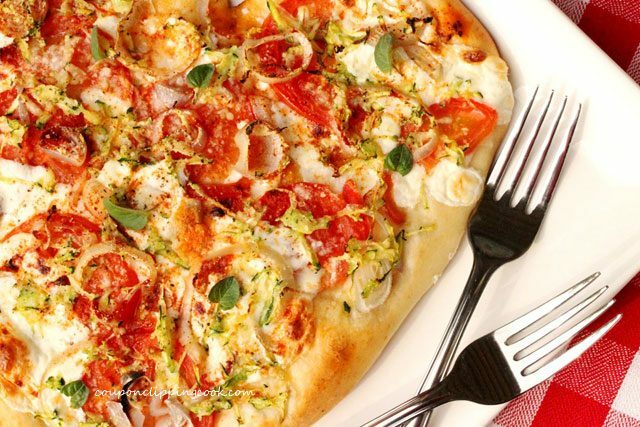 And the toppings are totally up to you; they can be customized with your very own favorite ingredients. 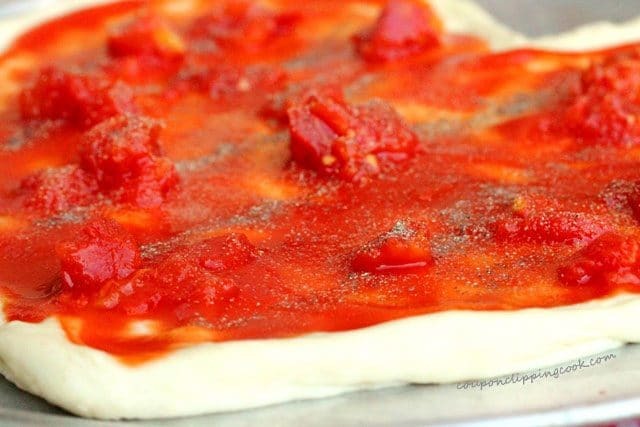 The pizza dough is so easy to make; just 4 ingredients….or 5 if you count the water. And the dough works nicely if making the pizza right after making the dough. Or if preferred, the dough can also be made ahead of time (up to a day ahead of time and stored in the refrigerator). But you can certainly change that up if you like by making; 2 large pizzas or 3 medium size pizzas or even 4 personal size pizzas, or a combination of either 3 options. 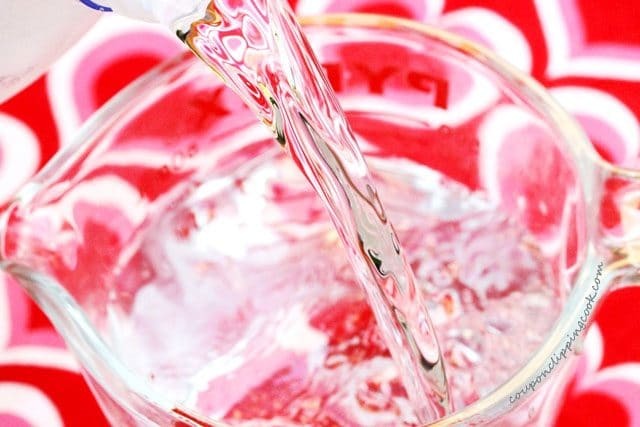 To a small bowl or pouring glass measuring cup, add warm (not lukewarm) water (an option is to add water to a glass measuring cup and warm it in the microwave for 35 seconds). …(don’t stir until the yeast is completely dissolved). Let the yeast and water sit until the yeast is completely dissolved (about 3 minutes). After the yeast is completely dissolved gently stir the mixture. Set aside. 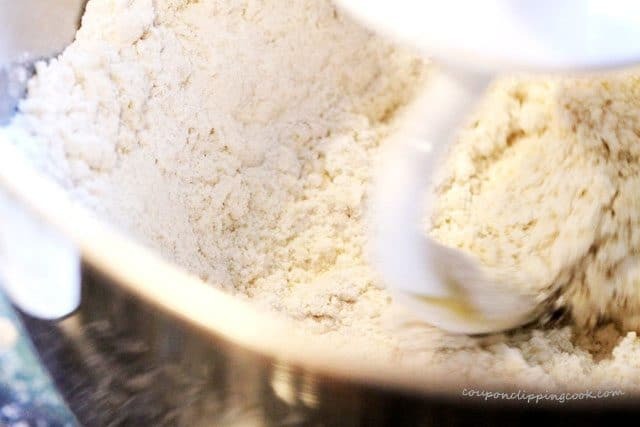 If using a stand mixer; use the hook attachment and mix the flour mixture on low speed. While the mixer is mixing, slowly add in the olive oil. 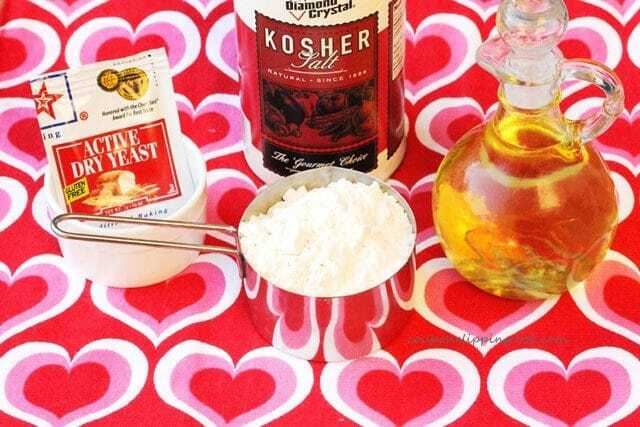 Continue to mix until the olive oil is mixed in with the flour. 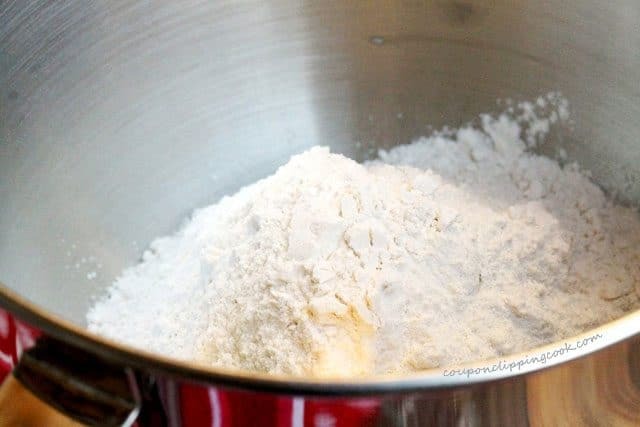 While the mixer is mixing, slowly pour the yeast and water mixture in the mixing bowl and mix just until the dough is formed. To a medium size cutting board, add flour to the surface (a thick dusting). 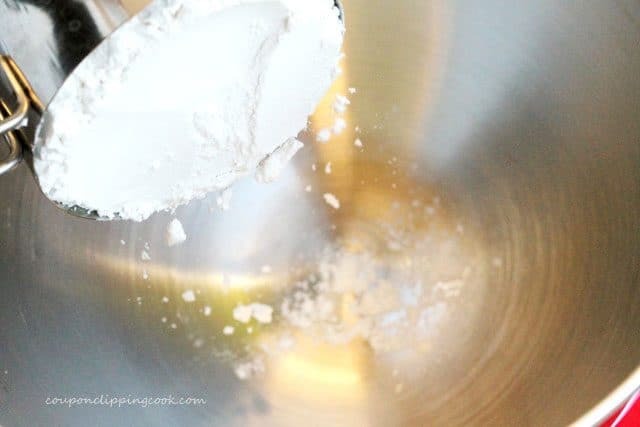 Transfer the dough from the mixing bowl to the cutting board. The amount of dough to use depends on the size of pizza or pizzas you would like to make. 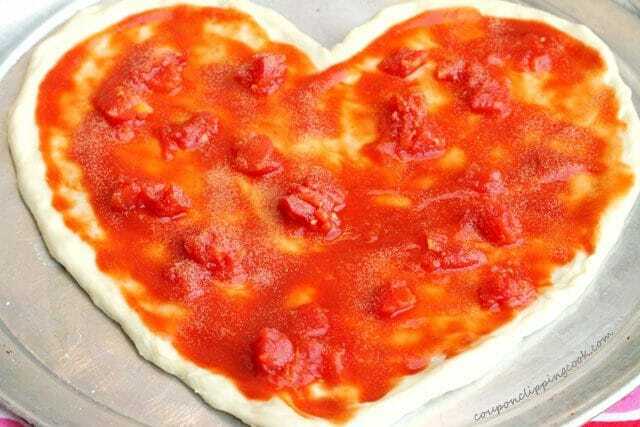 The dough can be used to make the pizza dough right after making it or it can be made ahead of time. 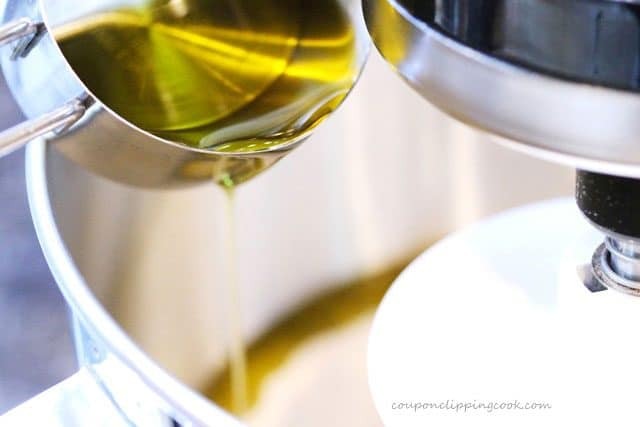 In a separate medium size mixing bowl, lightly coat the bottom and sides with olive oil. Form the dough into a ball and toss it in the bowl to coat all sides of the dough with the olive oil. Cover the bowl tightly with plastic wrap and store in the refrigerator until needed (up to 24 hours). 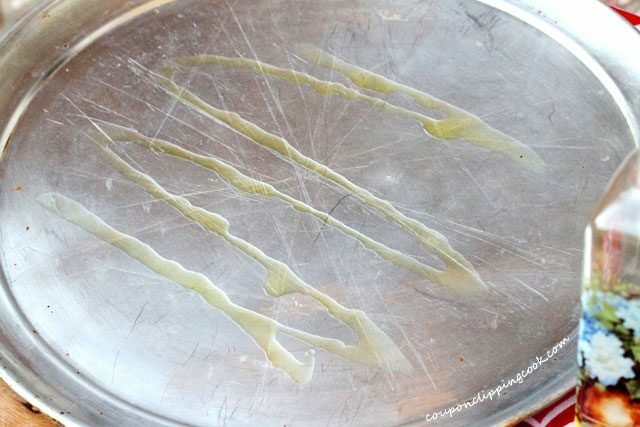 Drizzle olive oil on to a large pizza pie pan and spread it around. Set aside for a moment. To a large cutting board, add a dusting of flour. 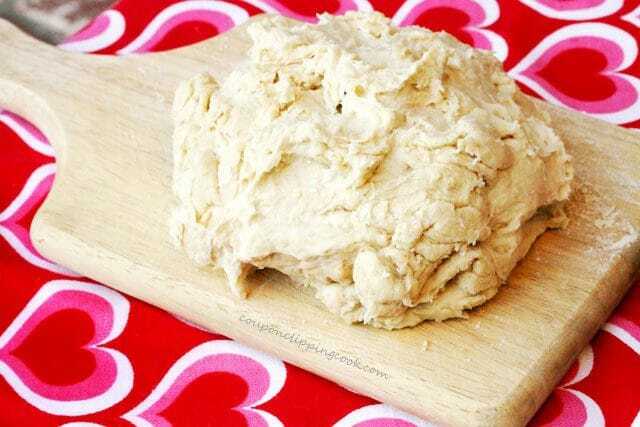 Put the piece of dough on the cutting board and work the dough with your hands to form a small flat circle. Continue to work the dough until it’s about the size of a paper plate. 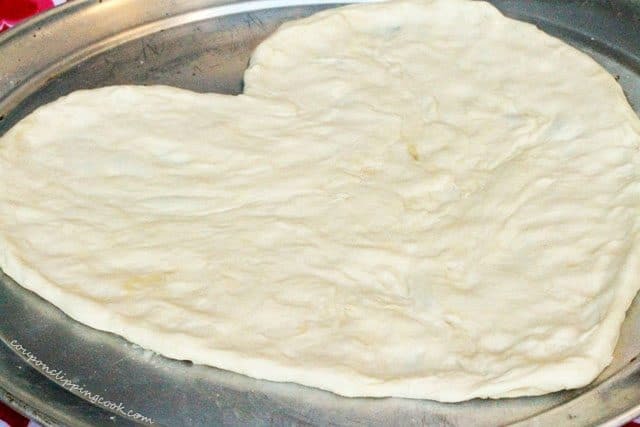 …and shape the dough into a large heart. 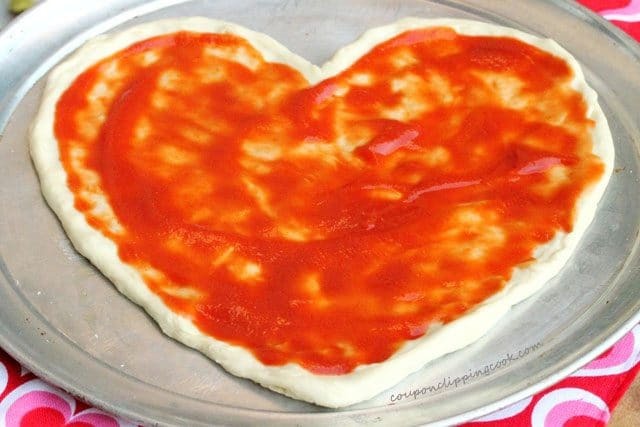 Spread tomato sauce on the dough starting about 1 inch from the inside edge of the dough (don’t spread the sauce up to the very edge of the dough….leave about an inch of space for the crust). Next, add the cut tomatoes on top of the tomato sauce. 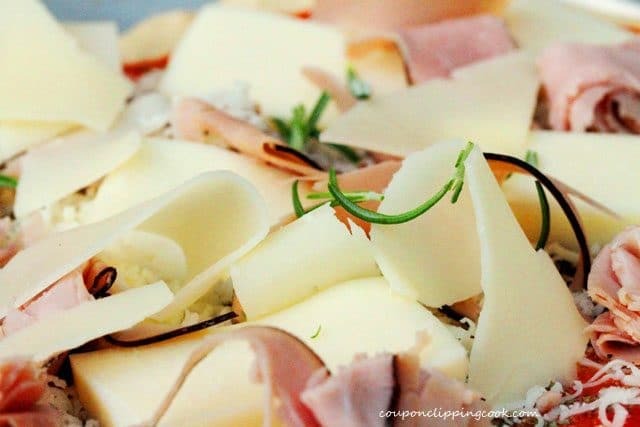 Add a layer of shredded mozzarella cheese, then a layer of the thickly cut pieces of mozzarella cheese. Then tear the ham into medium to large size pieces and add on top of the cheese. …and add on top of the pizza. 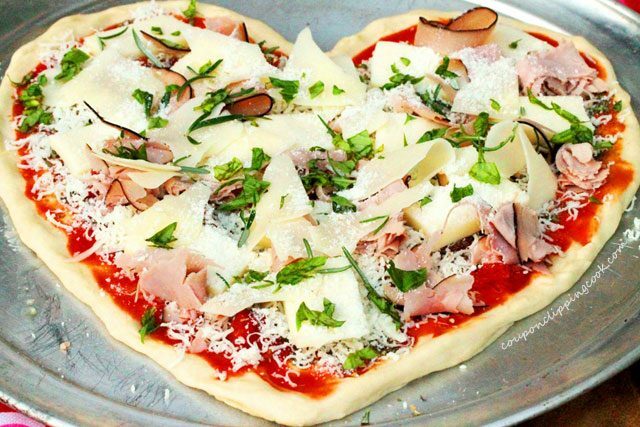 …add the rosemary leaves on top of the pizza. 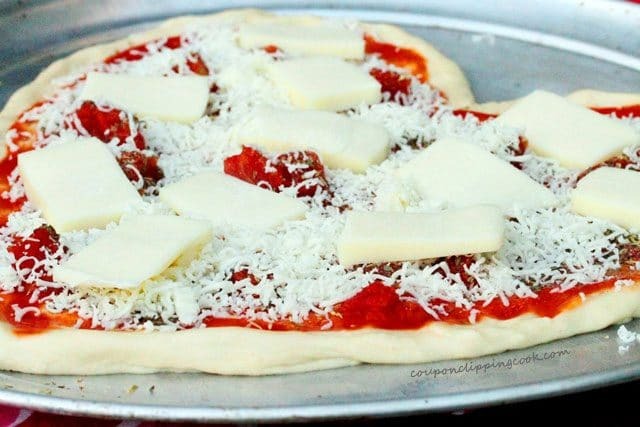 Next, sprinkle grated Parmesan cheese over the top of the pizza. Then top with chopped basil. 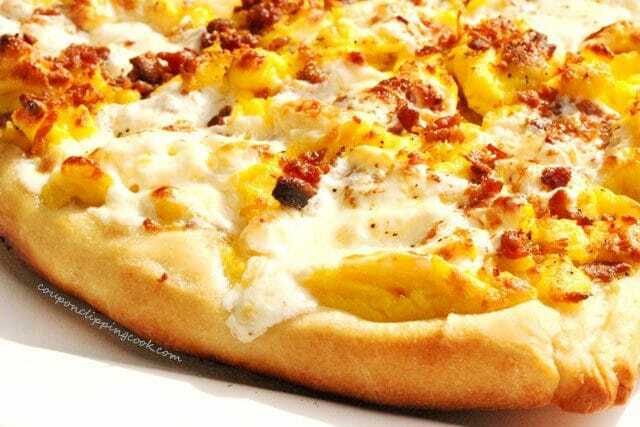 …the cheese is bubbly and the crust is golden brown (about 10 minutes; amount of time may vary depending on how many toppings there are). Serve right away. On a large baking sheet or 2 pizza pans, drizzle a little olive oil where the pizzas will be. Set the pan or pans aside for a moment. To a large cutting board, add a dusting of flour. 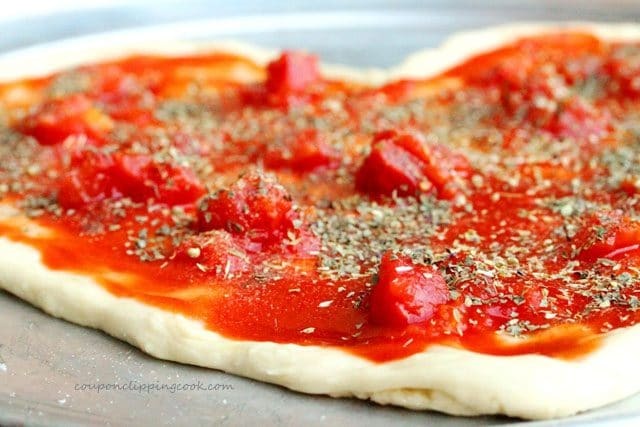 Put the pizza dough on the cutting board and work the dough with your hands to form a small flat circle for each pizza. Continue to work the dough until each piece is about the size of a small salad plate. 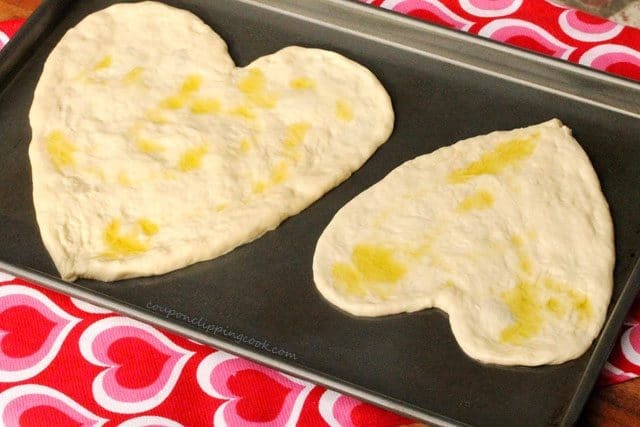 Then lay the dough on top of the olive oil on the pan and shape each piece of dough into a heart. Drizzle a little olive oil on top of the dough (these pizzas don’t have a tomato based sauce). 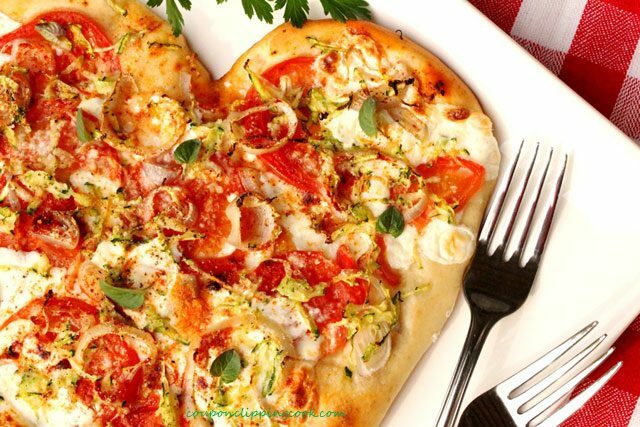 To the medium size vegetarian pizza, add pieces of fresh mozzarella cheese (sliced about 1/4 of an inch thick), sliced tomatoes, sliced shallots, and shredded zucchini. Sprinkle a few pinches of smoked paprika on top. 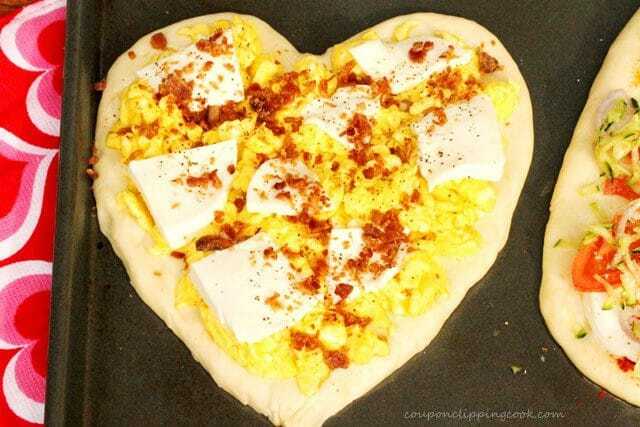 …scrambled eggs, fresh mozzarella (cut in 1/8 inch thick slices), and crumbled bacon bits. Top with a 2 dashes of salt and 3 dashes of ground black pepper. 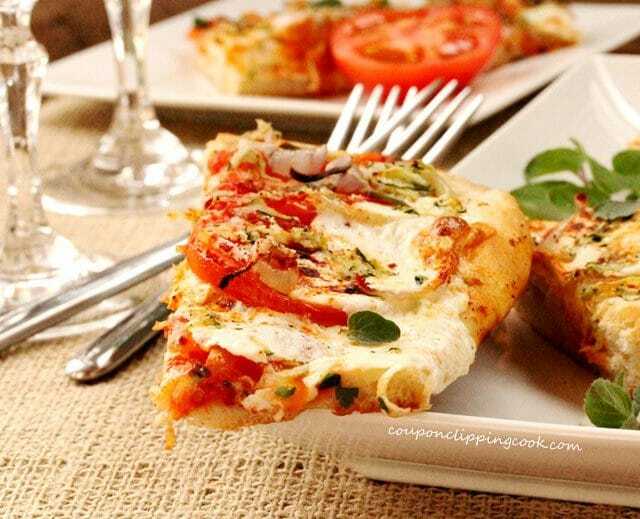 The smoked paprika adds such a nice flavor to this vegetarian pizza. 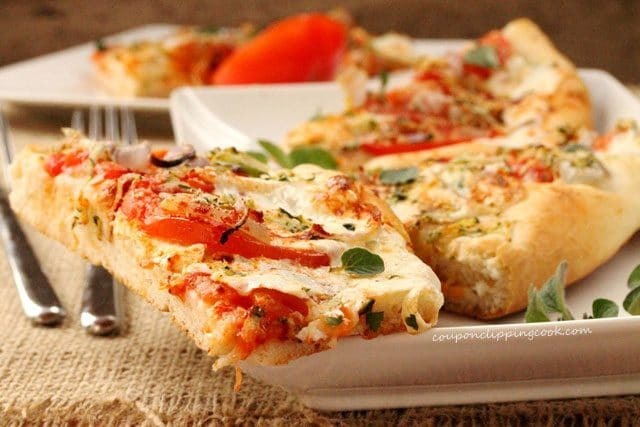 Bake the pizzas in a preheated oven until the cheese is bubbly and the crust is golden brown (about 10 minutes; amount of time may vary depending on how many toppings there are). Serve right away. 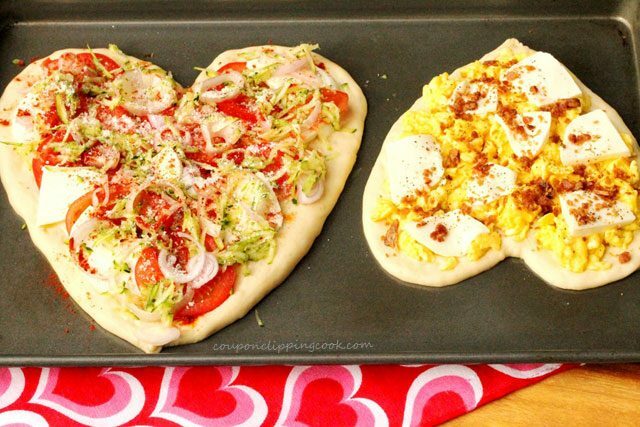 Whether it's a dinner for two, a special lunch, or a unique breakfast, these delectable pizzas with an easy to make homemade crust have you covered! 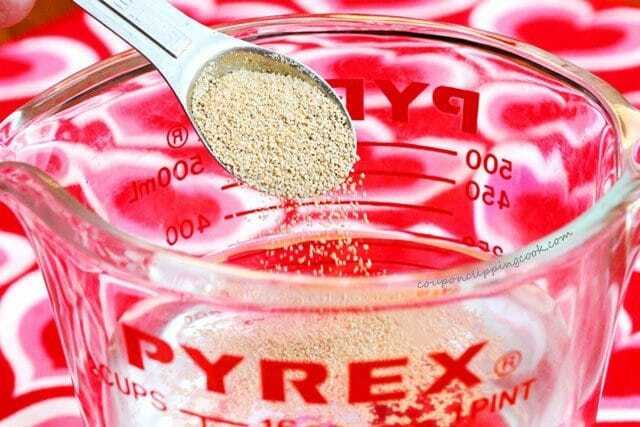 Add yeast to the water. Don't stir until the yeast is completely dissolved. Let the yeast and water sit until the yeast is completely dissolved (about 3 minutes). After the yeast is completely dissolved gently stir the mixture. Set aside. 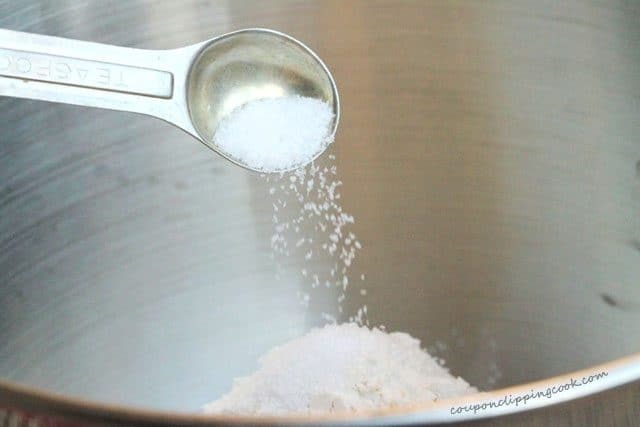 In a large mixing bowl add flour and kosher salt. 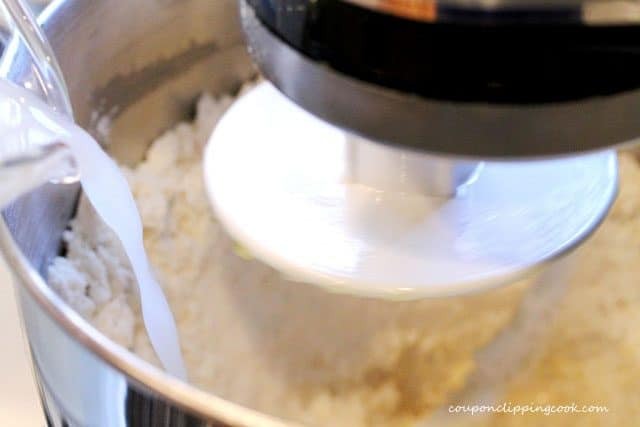 If using a stand mixer; use the hook attachment and mix the flour mixture on low speed. While the mixer is mixing, slowly add in the olive oil. 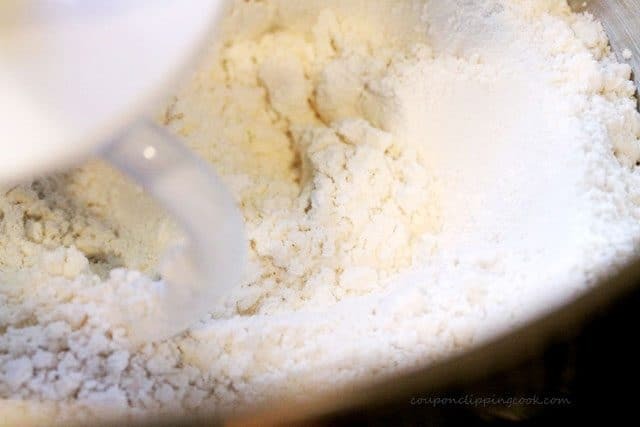 Continue to mix until the olive oil is mixed in with the flour. The amount of dough for the: Large size pizza is 1/2 of the total amount of dough (serves 2); Medium size pizza is 1/3 of the total amount of dough (a slightly bigger serving for 1); Small size pizza is 1/4 of the total amount of dough (serves 1). If making the dough ahead of time: In a separate medium size mixing bowl, lightly coat the bottom and sides with olive oil. Form the dough into a ball and toss it in the bowl to coat all sides of the dough with the olive oil. Cover the bowl tightly with plastic wrap and store in the refrigerator until needed (up to 24 hours). 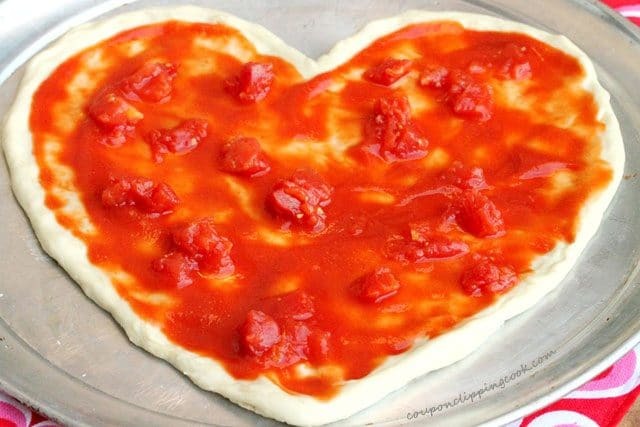 Then lay the dough on top of the olive oil on the pizza pie pan and shape the dough into a large heart. Add the cut tomatoes on top of the tomato sauce. 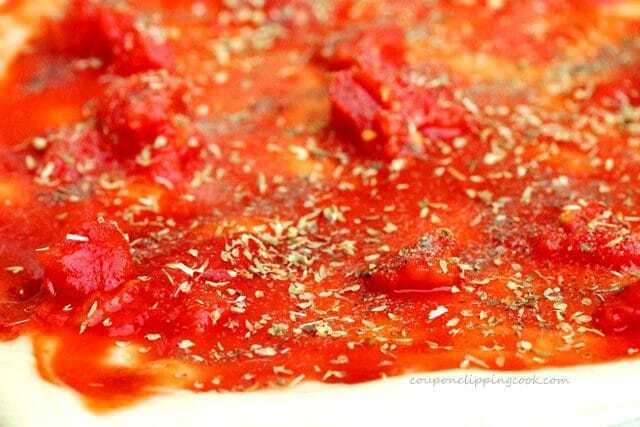 Sprinkle granulated garlic, pepper, dried oregano and dried basil on top of the tomatoes and sauce. 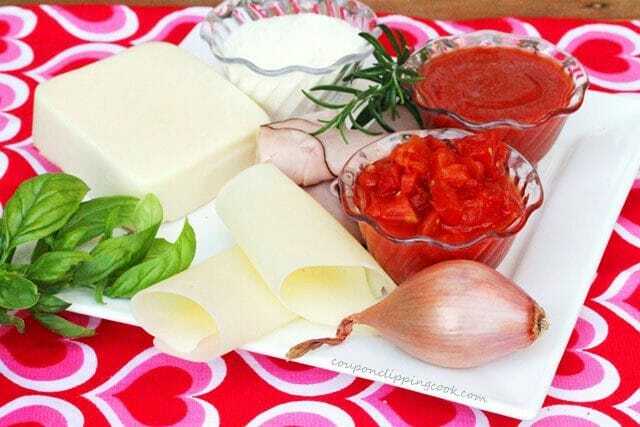 Add a layer of shredded mozzarella cheese, then a layer of the thickly cut pieces of mozzarella cheese. 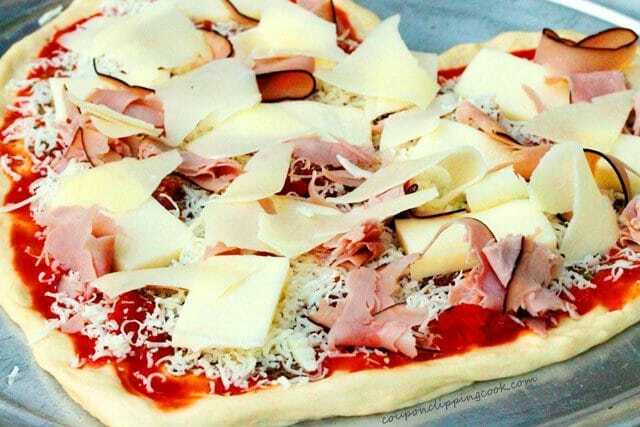 Then tear the ham and Swiss cheese into medium to large size pieces and add on top of the pizza. Remove the rosemary leaves from the stem, and add on top of the pizza. 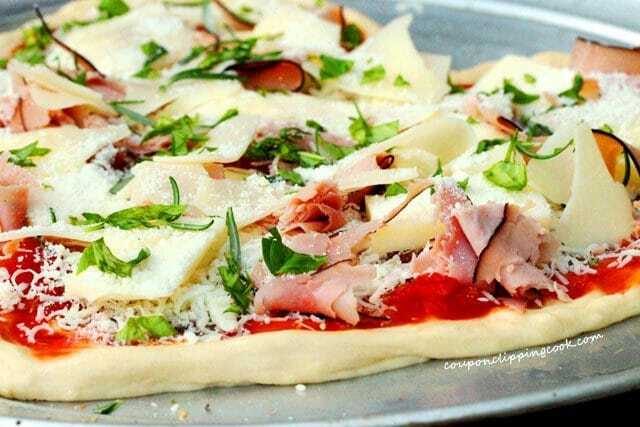 Sprinkle Parmesan cheese over the top of the pizza and top with chopped basil. 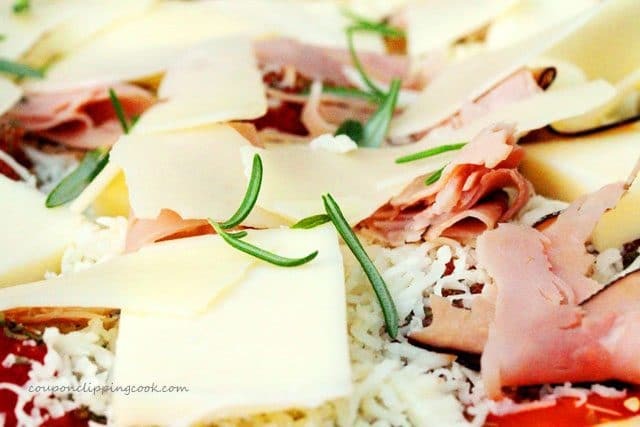 Bake in a preheated oven until the cheese is bubbly and the crust is golden brown (about 10 to 12 minutes; amount of time may vary depending on how many toppings there are). Serve right away. 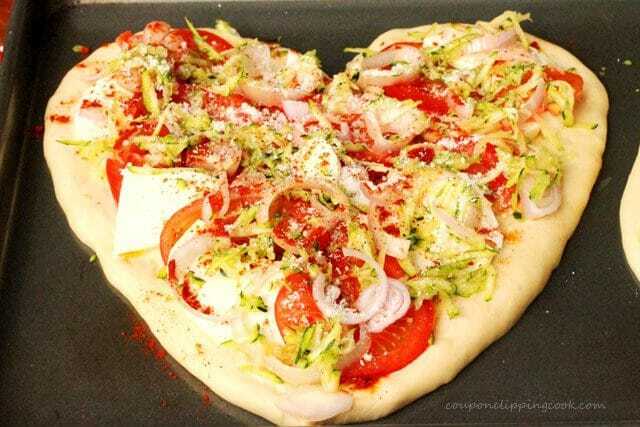 Then lay the dough on top of the olive oil on the pan and shape each piece of dough into a heart. Drizzle a little olive oil on top of the dough (these pizzas don't have a tomato based sauce). 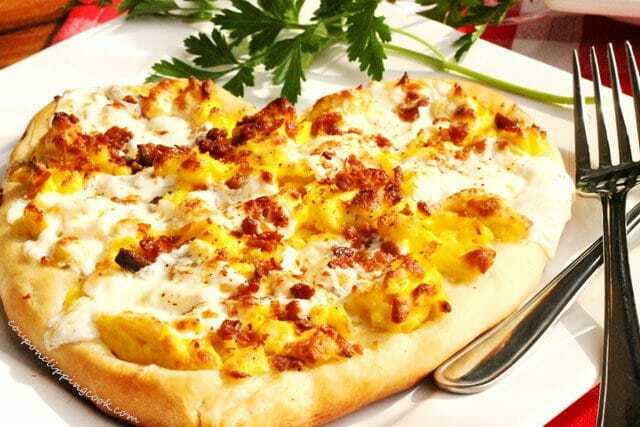 To the small breakfast pizza, add scrambled eggs, fresh mozzarella (cut in 1/4 inch thick slices), and crumbled bacon bits. Top with a 2 dashes of salt and 3 dashes of ground black pepper. 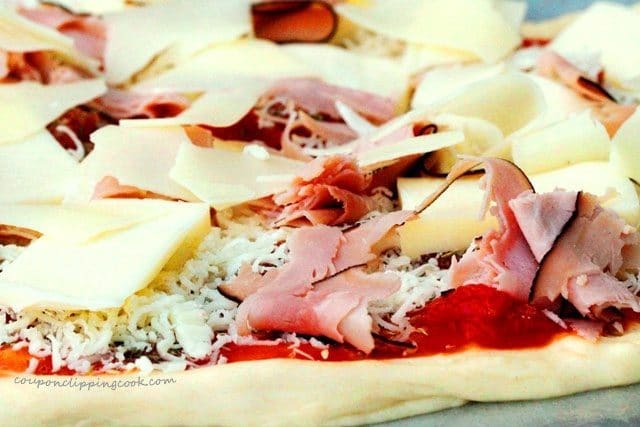 Bake the pizzas in a preheated oven until the cheese is bubbly and the crust is golden brown (about 10 to 12 minutes; amount of time may vary depending on how many toppings there are). Serve right away. 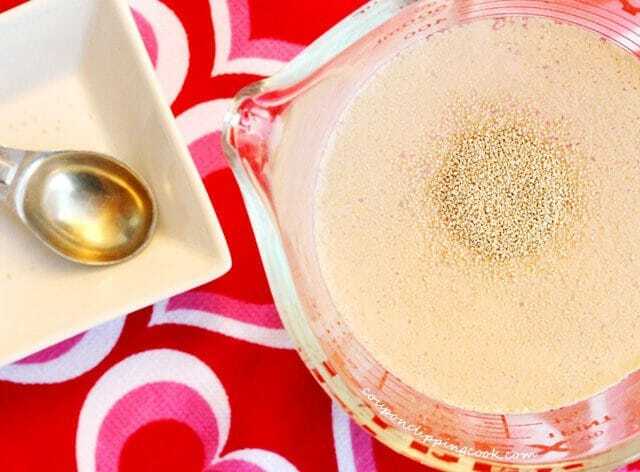 This recipe was originally posted on February 8, 2012. Thank you so much for the lovely recipes and money saving tips. You have such a nice blog. In honor of your blog, I have an award for you. Click the link to receive it-http://wp.me/p1M5kp-3y. Thank you very much! I sure appreciate it! Thank you so much for stopping by. love all the different kinds you made too. Very clever and delicious! 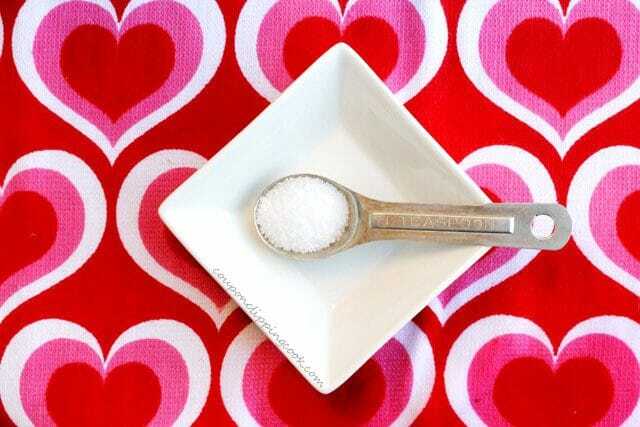 Who says that Valentine’s has to be all about chocolate? 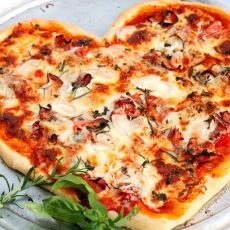 Imagine 3 meals of all savory Valentiney food-it would make for a tasty as well as unforgettable Valentine’s. Well done.